When looking at a sentence consisting of Japanese characters, how can you tell when words end and begin? In English each word is separated, while in Japanese they all run together. Usually I can't tell if the character I'm reading is at the beginning, middle or end of a word. I've tried finding solutions that can help but haven't been successful. Hi, there are mainly 3 types of characters in Japanese, hiragana, katakana and kanji, excluding romaji which is the roman characters used to help foreigners for pronunciation. 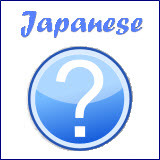 A Japanese word can be made up of hiragana, katakana, kanji, or a combination of kanji and hiragana. For example, this Japanese word 飲む (nomu), which mean "to drink", is made up of a kanji 飲 (no) and a hiragana character む (mu). On the other hand, the kanji 飲 (no) can also be represented by the hiragana character の (no), which is the pronunciation of the kanji 飲 in hiragana. So you can also use のむ (nomu) to represent "to drink". As such, it's possible to write the whole sentence consisting of only hiragana characters. However, this will make the sentence difficult to read because many kanji are pronounced with not only one but few hiragana characters. foreign names, things "loaned" from foreign languages. For example, this Japanese word レストラン (resutoran) came from the English word "restaurant". 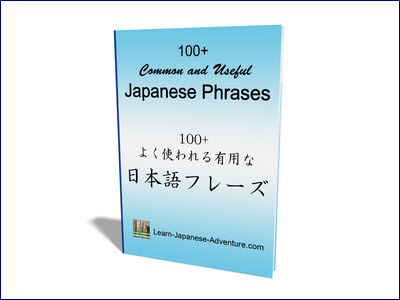 You may also want to refer to this page where there are many Japanese words and vocabulary available. You can then see how different combinations of Japanese words are formed. I am not very sure why you cannot tell when words end and begin in a sentence consisting of Japanese characters. If you understand how Japanese words are formed (as explained above), you shouldn't have any problem with that. The only problem I can guess is that you may be confused about kanji, because a kanji can be formed with few kanji. For example this kanji 飲 (no) is made up of 2 kanji 食 and 欠. While kanji are more complicated as compared to hiragana and katakana, the theory is the same behind how Japanese words are formed. I hope I have not confused you further in my explanation. Let me you if you need more help. Or you can give some examples to show your problem. Comments for How can you tell when words end and begin in a Japanese sentence? I think the person is more confused because you kind of have to guess with Japanese, unless you are completely fluent and know every kanji and every word combination possible. I know hiragana, katakana and only a few kanji, so I can't read japanese sentences with kanji in them unless they are ones I know. Which right now is not many, but I can recognize what the hiragana and katakana spell out, at least. A helpful hint to be able to tell where words end is to always remember that hiragana are always used for particles! This is the big tip. Kanji are usually used for entire words, sometimes you'll have two kanji for two words, or a combination for one long word, next to eachother, but if you have to change the ending of the word, like to change tense or politeness, you use hiragana as well. So hiragana is either used to tag on to the end of a kanji word, or to form a separate word as a particle (usually as a connecting word for the words around it). "gen", "ki", and then "desu" is in hiragana. desu is always in hiragana. Same goes for the particles "no" (denoting possession), "to" (and), ect. Hope this is a bit more helpful. Thanks for the additional explanation. 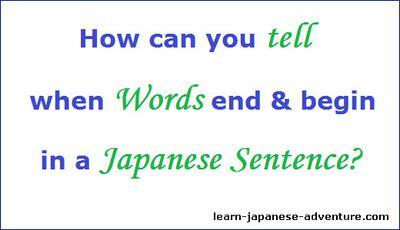 I hope it helps to clear the doubts of those who are confused about when words end and begin in a Japanese sentence. How do you tell where each of these end? The second one is obvious, but the first one is not unless you know the word post-office. I would suggest you don't learn kanji the same way that you learn English. They're actually quite different, especially in terms of how words are formed. There're only 26 letters in English and every single word is formed by a letter, or a combination of few letters. However, kanji is different. Each kanji is standalone as a word, and few kanji can be combined to form another word. And there're about 2000 commonly used kanji or 常用漢字 (jouyou kanji) you need to master in order to reach the level of high school standard of the native Japanese. It's not easy to master all the 2000 kanji in a short term. It takes years to master them. You cannot expect to master them in a year what it takes native Japanese around 10 years to do that. 郵便 (yuubin - post/mail) is a word by itself (2 kanji). 郵便局 (yuubinkyoku - post office) is another word formed by 3 kanji. The other 3 words are similar. 速度 (sokudo - speed) is a word formed by 2 kanji. 制限速度 (seigen sokudo - speed limit) is another word formed by 4 kanji. 最高制限速度 (saikou seigen sokudo - maximum speed limit) is yet another word formed by 6 kanji. You asked "How do you tell where each of these end?" My answer is that you need to know every single word that formed by the various kanji. Then naturally you'll know where each word ends. That means besides knowing 郵便 (yuubin - post/mail) as a word, you also need to know 郵便局 (yuubinkyoku - post office) as another standalone word. I know this is definitely a challenge for a beginner, especially if s/he's entirely new to kanji. But there're no short cut in learning kanji. 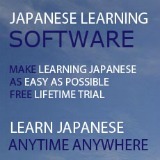 My suggestion is to learn kanji as they appear in your textbooks as you begin learning the Japanese language. In this way you can pick up and memorize words formed by different kanji more effectively because you can relate to the whole sentence. After learning for a period of time, I believe you'll be able to recognize more words (formed by different kanji) and naturally know where each word ends. "can also be represented by the hiragana character む (no), "
You have the wrong Hiragana there, as typed in your next sentence it is の.
Hi, I have corrected it. That's the problem of using too many "copy and paste". I was also too careless for not checking it thoroughly. Thanks for pointing out the mistake. If you use pictographic flashcards you can learn to read and write hiragana and katakana in about a month. Learning the 2000 kanji that are required to read any newspaper in Japanese takes about a year. Learning how to write 2000 kanji I haven't done yet. However I can write hiragana and katakana. Getting the stroke order correct for all of the above I think it would take a lifetime. Learning to read, write, form correct grammar, and vocabulary probably takes 10 years. The one with least kanji is obviously post office, the one with one more word is a combo word or compound word with -administrative added at the end. So instead of post office, it is post office administrative. I started learning japanese at the 9jan/17 and it is now 15feb/17 and I've never been to japan but my guess is, municipality speaking, even banks and common things of public, you going to see the same ending and you should utilize the concept of spotting them and adding them under a given priority. It's common in english area for people wanting to go inside banks and find out they can't cause this is not a bank for the public, so all words must be consistent and i believe that what happened with that word, maybe you'll even see post office express and so forth. I guess I'm too old for this. granted there are 3 easy kanji in there but for those long stretches of hiragana only, how do the kids know where words start and end? Like damn yo, y'all have a space bar too right? the point is if a japanese 4 year old can figure this out then there's something to it. Hi, you got a point. You can use space to separate words for easier reading. But without the space it's just so difficult to read and understand the sentence instantly. Besides, I don't think children of 4 years old will study such long sentences. I think most of the words they study will be simple words. Eventually the children will start to learn kanji when they grow up. And I don't think they want to go back to use only hiragana when they learned the usefulness of kanji. The point here is, sure you can use only hiragana for a sentence and know where the words start and end. But it's definitely not recommended. Really tho I was getting frustrated trying to read thinking there was a trickity trick I was missing.